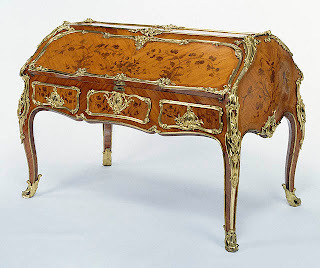 Elegant antique european furniture table incorporating intriguing mechanical devices was a trademark of the Roentgen workshop, which from 1768 until about 1793 was one of Europe's most successful cabinetmaking enterprises. The distinguished design and the innovative way prefabricated elements such as the detachable legs were assembled make this table an example par excellence of David Roentgen's ingenious creations. 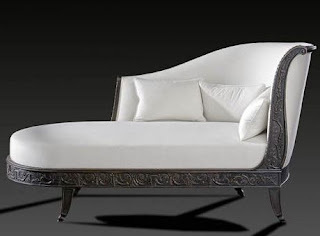 His objects are an amalgamation of superior technical skills, sophisticated looks, high-quality materials, and multiple functions. 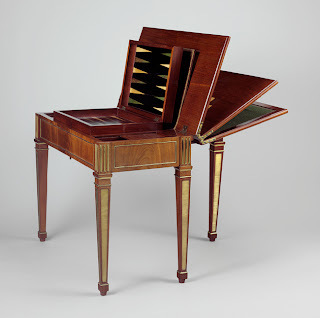 Roentgen's patrons sought adaptable furnishings that could perform manifold tasks. 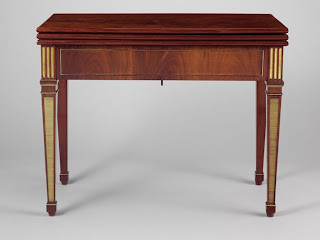 This piece is a console Reproduction Furniture , a desk for writing and reading, and a game table for cards and chess with a concealed spring-driven backgammon box. Yet when closed, it took up only a small amount of space in the intimate interiors popular during the Age of Enlightenment. A set of eighteenth-century game pieces—twenty-nine stamped wooden medallions illustrate European monarchs and historical views—were associated with the table.